With hammock-dwellers in mind, I've compiled a quick list of the most effortless storage methods going. Drying food is my favourite. Why? Because all you do is stick it on a tray and wait for what we here in Turkey call a poyraz wind. When the Mediterranean hairdryer starts up, cut up your tomatoes, add a bit of salt, and throw them on your roof. Yup. That is all you have to do. In about three days you have sun dried tomatoes, and they taste so good you'll be hard pressed to cram them in the jar before you eat them. The same goes for grapes, plums, apricots, figs. You name it, you can sun dry it. The only issue is, if the weather pulls a cloudy day on you. Humidity and dew will affect your produce, so if there's damp in the air (for example at night) pull the tray inside. Next up is pickling. A tad more effort than the other two food storage methods, pickling necessitates the creation of a pickling liquid. It's pretty easy though. Vinegar, salt and water create a basic pickle. In Turkey people sometimes like to add garlic, as well. You can pickle anything from cabbage, to gherkins, to eggs. 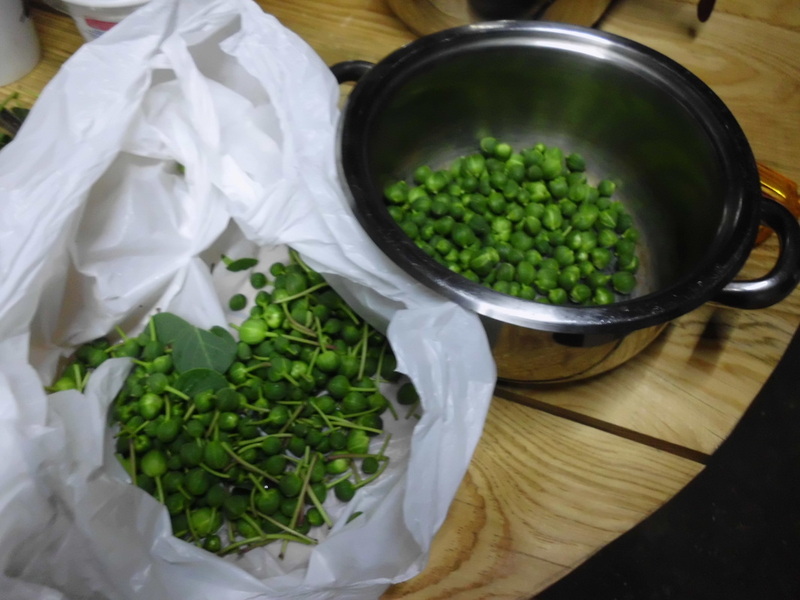 This year I made my first inroads into the addictive world of capers. Root vegetables are even easier to store. 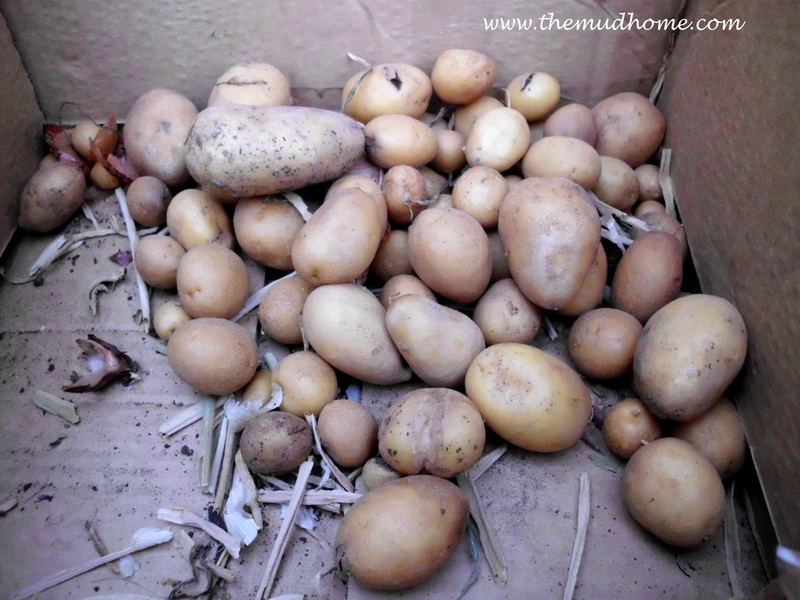 Just throw them in a cardboard box, or wrap them in newspaper, and keep them somewhere cool, dry and dark. This works for onions, potatoes, carrots, beets and even citrus fruit like lemons (though they should be individually wrapped in paper). The colder the space the better. OK, this is the first and last time you'll get a recipe out me. My approach to cooking is; if it takes more than fifteen minutes I'm not interested. Turşu takes about three minutes. Here's how to pickle Turkish style. 1. Take a litre of water. 2. Add a small glass of vinegar and 1/3 of a Turkish tea glass of sea salt. What, no lovely tulip tea glasses where you live? OK I expect a heaped dessert spoon of salt will do. 3. Mix it all up in your pickling jar, and let the salt dissolve if possible. 4. Throw in your cleaned, cut veg. Add a clove or two of garlic as well to keep the vamps away (not recommended for capers). 5. Leave it a week or two somewhere dark and cool.